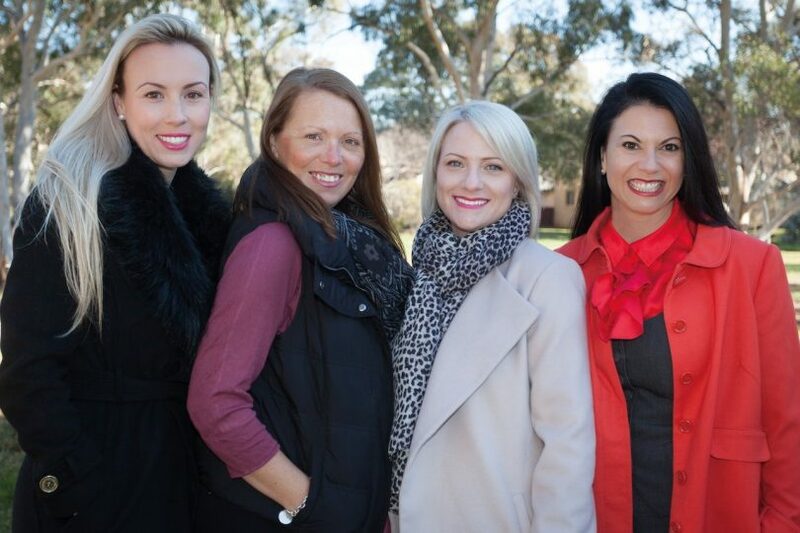 Signature Strata is the brainchild of partners Nina Cannell, General Manager and Leisa Newman, Business Manager. The initial chat about Nina’s future plans after her last tenure of 12+ years (18+ years in total) happened in the school yard. Leisa had hoped to coax her into a new role, essentially a side-step from strata management. “It actually all happened at lightening speed. We made the decision that continuing with Nina’s strength in strata would be the most sensible approach for our future together in business,” Leisa said. Eisa and Nina had some very exhaustive and in-depth meetings to set up their business plan; mapping out a vision of their ideal client, the service they would deliver and the ideal team who would meet market expectations now and into the future. With this idealistic vision set hard and fast on paper, Nina’s team of old were keen to join the new business venture. So Nina and Leisa, together with Calli Fenwick and Deb McCarthy set-up office in March. Both Nina and Leisa agree that “market expectations have changed. Strata is no longer the ‘little sister’ of real estate. Clients seek professional services not too dissimilar to that of an accountant or bank manager. Often time poor themselves and being responsible for the financial and facilities management of their strata communities they need to have issues addressed efficiently, effectively and professionally.” Nina said. Leisa said “that strata is appearing more in the media, and growth (locally) can be attributed to the types of developments being constructed to meet demand. We have brought together a skilled team who can deal with mixed use developments and multipurpose units, not just the simple block of townhouses or standard units that may have a common carpark and grounds” She went on to explain. Nina says that “Signature Strata will focus on the ACT. We don’t plan on stepping outside the border. We want to be renowned for meeting the expectations of Canberrans; developers and established owners corporations alike, accomodating the needs of mixed scheme developments as well as community title developments who may just need assurance that what they are doing meets legal obligations”. “What you see is what you get at Signature Strata. You aren’t getting a franchise, you are getting local people with local knowledge and experiences,” Nina said. Leisa believes “that Canberra should be viewed somewhat differently to other capital cities because we have the ‘big city’ scape, complimented by that homeliness of a much loved country town”. “We are fortunate in that we are in a position where we as a business get to focus on our ideal client”. Leisa said they are being somewhat selective. They aren’t taking on clients because they have to. They too do their research, essentially interviewing potential clients just like they expect clients to request Signature Strata tender for their business. Both need to do their due diligence to ensure a long-term sustainable partnership. Signature Strata now need to bring forward their infrastructure and recruitment plans. Leisa explains they are flexible enough to be driven by what the market is throwing at them. “From a recruitment perspective, we intend on growing the team with like-minded, skilled practitioners”. If you hadn’t already noticed, Signature Strata are throwing out the gender balance. The team are career focused women who have managed business and family responsibilities for many years in their respective fields. But at the end of the working day the team at Signature Strata are focused on ensuring they deliver on their vision for the business -Trust Management. Unique Service.Quality Assured. They are certainly off to a flying start. 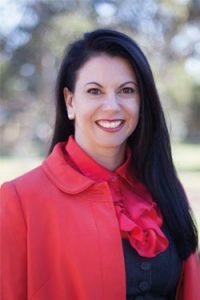 Nina started in strata management back in 1999 in the heavily regulated state of NSW. First in Sydney and then in Wollongong. In 2004 Nina moved back to Canberra to be closer to her family. 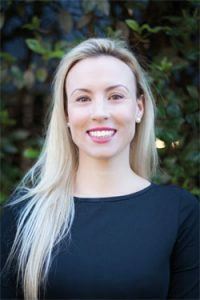 Straight back into the strata industry as a strata manager for a few years, she moved up to manage the strata department and then on to establishing relationships within the new business arena of strata with her own team. “After having my second child I transferred to new business development in strata management and stayed there for a further seven years,” Nina outlined. Nina says this experience working with developers was invaluable, giving her great insight into the needs of the industry. “The team that we have built around us is really important. Our team have the skillsets and experience to really deliver for our clients,” Nina said proudly. 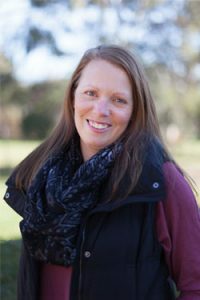 Leisa Newman returned to Canberra in 2000 after a number of years in Sydney where she ventured into a large residential real estate agency in Tuggeranong as the Business Coordinator until late 2004. That same year she moved on to becoming the General Manager of a second tier accounting firm. In 2007 she started consulting to small business, predominantly focused on general business operations and HR/WHS. 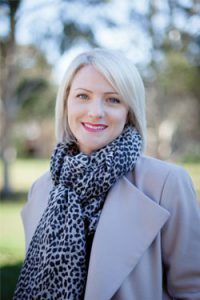 Real estate caught her attention again in 2009 where she became the Operations Manager for one of the top franchise networks in Canberra. “I went back to being a full time mum at the end of 2014 over the Christmas break and enjoyed my family very much, but after a while I needed to get back to business and started consulting again. Real estate once in your veins keeps you coming back, what more can I say,” Leisa explained. She continued to consult to a couple of real estate agencies whilst also taking on a 9 month contract at a well-known insurance broking house, project managing their rebranding initiative and their expansion into Melbourne. Calli moved from the fast pace of hospitality to strata management in 2011. She was a strata manager for two years before joining the new business team that Nina was building upon where she predominantly looked after established owner’s corporations and also worked with developers during the initial setup of their new buildings. Calli then became focused on working as a transition manager with these new developments to ensure service expectation were being met. Becoming a mother last year has meant Calli has been able to take a well-earned (short) break and is very excited to be coming back to strata re-energised. “It is great returning to work to be part of such a talented and professional team. I am confident we will undoubtedly become a well-known company and brand in our exciting and ever-changing space in Canberra,” Calli stated. Deb’s career history has been knee deep in client-facing service based industries all of which have been an excellent foundation for her leap into strata administration. Initially starting off as a strata assistant, her skills were a standout for Nina who brought Deb on board as a personal assistant to the new business team. Deb is not shy when it comes to the behind the scenes operations, software management and all things administration that help to drive the front-end of strata services. After four years in the position Deb took a break late last year and she too is very eager to get back in the trenches and working with such a great team. “It’s all about delivering high service standards to Canberra strata communities. We will exceed expectations I’m sure”. Is your company a member of Strata Community Australia?